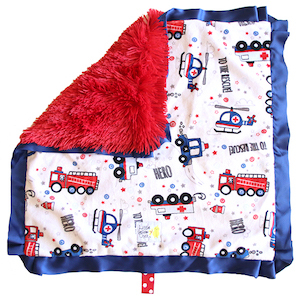 Heroes Hero vehicles are represented in this minky velour fabric. The back is red shag cuddle with a single satin. A Little Loop attached at the bottom.